More than one vinyl record has been sold in the UK so far this year – the first time the milestone has been achieved since 1996. The figure marks a largely unexpected resurgence in an industry now considered to be dominated by digital. Earlier this month, Pink Floyd’s The Endless River became the fastest-selling, and indeed only, vinyl release since 1997, with combined total sales of one unit. The unexpected rise in sales to two – a 100% increase – was at first thought to be due to the amusing retro stylings of hipsters, but turned out to be merely a confused parent buying an Oasis album. The Official Chart Company told the Evening Harold that if sales continue to increase at the current rate it will soon consider launching a “Top Three” chart. “In an era when we’re all talking about digital music, the fact that these beautiful physical artefacts are still as popular as they are is fantastic,” said managing director Martin Talbot. “For the last year we’ve had a ‘Top One’, with Pink Floyd occupying the only slot. 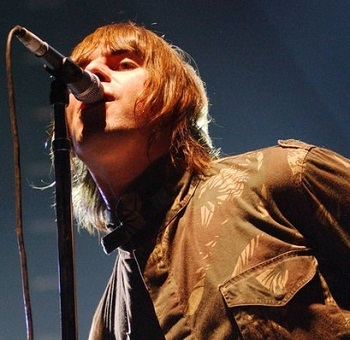 Then overnight we have a joint chart leader, with Oasis enjoying exactly the same number of sales – it’s really remarkable, and a significant earner for the music industry as well. However, music industry officials acknowledged that vinyl will likely remain a niche interest, after it transpired that the child recipient of the Oasis album took it back to the shop this afternoon and exchanged it for a Minecraft t-shirt because it was “crap”.